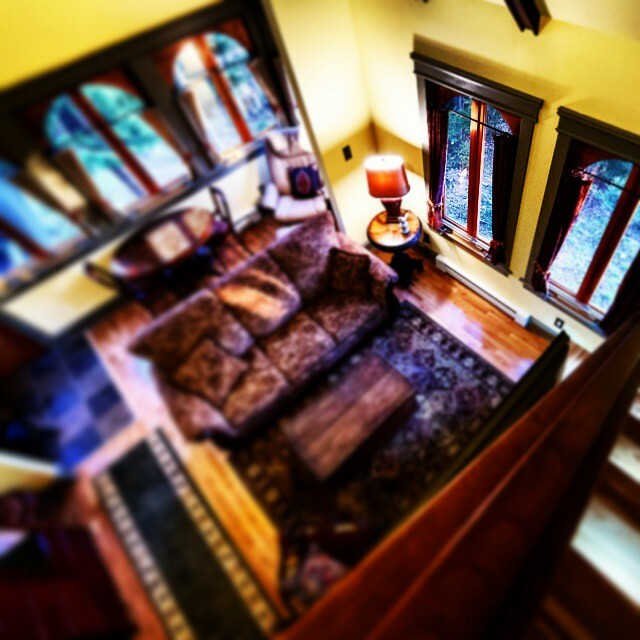 At Upper Garden Nature Retreat, we want to make your stay comfortable, relaxing, and luxurious. Whirlpool Bathtub – Perfect for relaxation and big enough for two, unwind in our luxurious Whirlpool tub. Luxury Cotton Turkish Towels – After a relaxing whirlpool bath, wrap yourself in our thick, plush towels. Heated Floors – The kitchen and bathroom are equipped with adjustable, heated slate flooring for your comfort. Luxurious Tableware, Glassware, and Flatware – Enjoy a special meal with our luxury, Napoleonic Bee themed, matching tableware, La Rochère glassware, and Wallace Silversmiths flatwear. Quality Cookware – You will have everything you need to prepare meals; pots, pans, mixing bowls, knives, cutting boards, and virtually all other necessary cooking tools are provided for you. Appliances – A large fridge, halogen cook top stove and oven, and dishwasher are included in the kitchen. Luxury Bedding – The beautiful built-in bed in the sleeping loft is outfitted with a luxury mattress, sheets, and plenty of pillows for a great night’s sleep. Free Coffee and Cream – A Keurig coffee maker with a full range of teas, coffees, cream, and sugar is available for your stay. Free Bottled Water – Plenty of bottled, drinking water is provided for your stay. Barbeque – Our spacious deck, lined with flower boxes and trees, is equipped with a large propane barbeque as well as a full outdoor deck set. Free Wifi – Stay connected with free high speed internet and wifi. Paddle Boat – Take a relaxing paddle boat ride down the picturesque South River. A 2 seat paddle boat is provided for your stay. Fireplace – Stay cozy and cuddle up in front of the simple to use, propane fireplace. You will only need to bring food and any additional beverages. A grocery store and LCBO are conveniently located in the town of Powassan, only a 10 minute drive from the Upper Garden Nature Retreat. Please Contact us to reserve. Explore our trails and experience the beauty and serenity that the forests and wetlands of Central Ontario have to offer. Take in the sights and sounds of our 8 kilometres of private groomed trails, which are constantly being expanded. Our trail system covers many diverse areas. Let them lead you to points of interest such as animal prints along the riverbank, birds inhabiting the many varieties of trees, our system of beaver ponds, the moose habitat, and countless other wonders of nature. Whether you are an experienced hiker, an avid bird-watcher, a nature photographer, or someone who just enjoys an evening stroll, you will definitely feel at home on our trails. Upper Garden Nature Retreat offers year-round luxury cottage rentals, nature trails, and wildlife viewing. We are centrally located just minutes off of Highway 11, less than a 3 hour drive north of Toronto, Ontario. 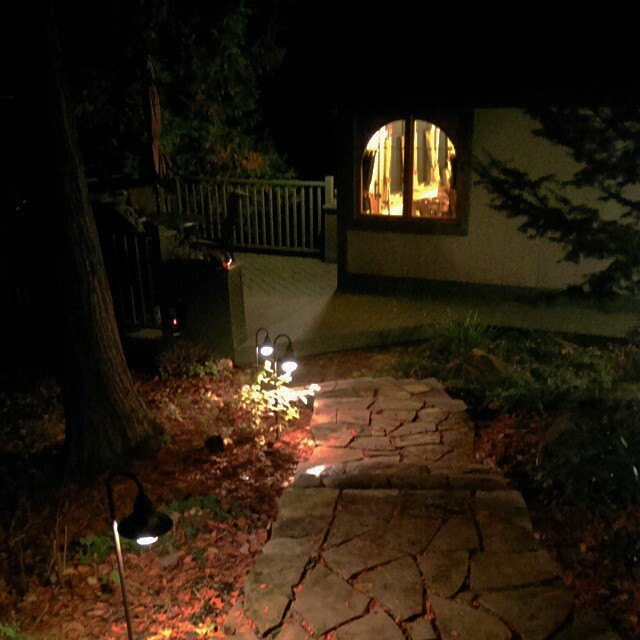 Located near the town of Powassan, Ontario, less than 3 hours north of Toronto, you will discover Upper Garden Nature Retreat. We are located on 460 acres of beautiful, diverse forests and wetlands bordering the South River. This landscape is home to many varieties of Ontario wildlife and provides stunning scenery for our luxury cottages. We offer you the opportunity to view many species in their natural habitat, while enjoying the comforts of our unique, private, luxury cabins. Experience the peace and tranquility of our private, groomed trail system. Our trails are perfect for bird-watching, hiking, photography, or for simply exploring or taking an evening stroll. At Upper Garden Nature Retreat, you may come across a variety of wildlife in its natural habitat. You may see moose and deer wandering through the woods or hear the wolves howl in late evening. You may also see the beaver gather food or witness them building their dams at dusk. At certain times of the year, you will certainly hear the frogs singing in the morning and early evening and will catch sight of the fireflies as they dance after dark. Explore the South River’s shoreline for animal prints and aquatic wildlife, or take the paddle boat for a ride and feel the peacefulness of your surroundings. Relax in the solitude of your one of kind, custom-built luxury cabin. Each luxury cabin includes an exclusive private site and complete accommodation. The cabins include fully outfitted kitchens and bathrooms, as well as flatscreen televisions and Wifi. Watch hummingbirds and butterflies visit the flowers that surround the deck, as you enjoy a morning coffee. Enjoy the summer evening outdoors, preparing dinner on the barbeque. Then gaze up at the stars by a cozy campfire. Spend a winter afternoon watching the snow fall, as you lounge with a hot chocolate and a book by the fireplace. 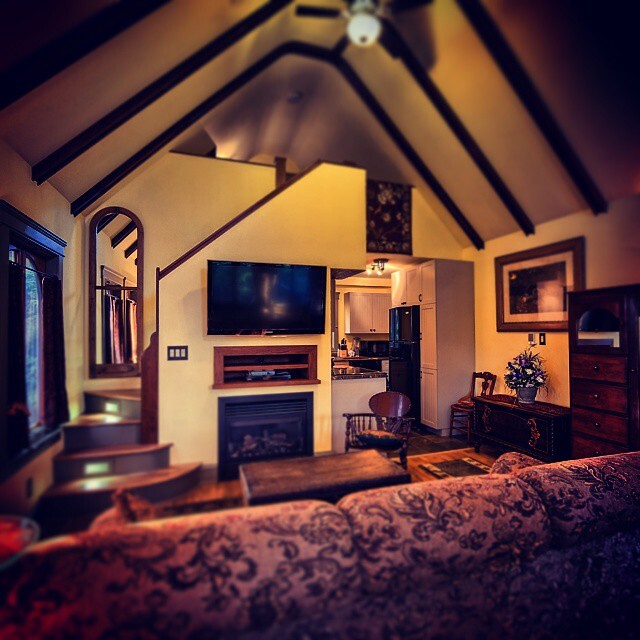 For your comfort and relaxation, all luxury cabins include top quality mattresses and whirlpool tubs, along with propane fireplaces and heated floors. Upper Garden Nature Retreat is a year-round destination. Each season offers a different experience, whether it be the rebirth of spring, the lush summer woods, the autumn colours and fresh crisp days, or a snowy winter landscape, perfect for strapping on a pair of snowshoes and tracking animal prints. At Upper Garden Nature retreat, you will find the peaceful, rejuvenating, luxurious getaway you are looking for; any time of year. A Luxury version of a traditional Log Cabin for the family is being built and will be open soon.